When ByteSized Productions announced Xanadu Jr. as their major production for 2018, it met with a collective “Huh?”. While some may have rejoiced at the prospect of seeing the stage version of the cult classic movie of the 1980’s, for most people Xanadu as a musical is little known. 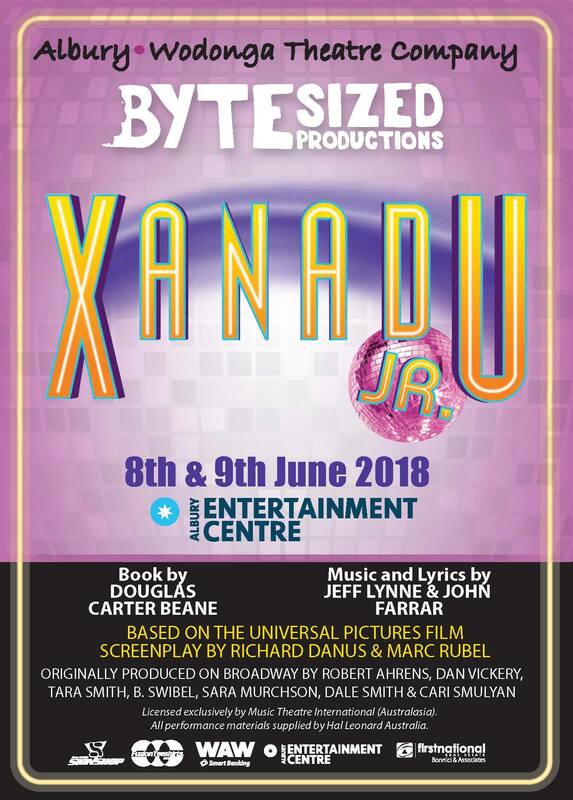 Xanadu Jr. is a big departure for ByteSized away from their hugely successful Disney musicals such as last year’s Beauty and the Beast or Dream Works Shrek, and the choice to put on a little known show with music and themes from an era before all of the cast would have been born, could have resulted in a show with little cast insight and one dimensional characterisation. And as the musical is based on the Hollywood movie flop of the 1980’s, this too seemed to have the potential to flop. The difficulty with putting on an unfamiliar show is that it all comes down to the cast’s ability to develop the characters – there is no preconceived knowledge of the characters in Xanadu such as there is with Disney productions, and in a junior version of musicals there is even less time to take the audience on that journey. This was Xanadu’s crowning achievement. From the moment Sonny Malone (Kobey Hudec) sauntered onto a silent stage alone, to deliver his ode to failed artistic genius in his flawless American accent, you could tell that this show was going to live or die on the theatrical skills of the young cast. And live it did. Every one of the principal roles nailed their characters. And these characters are not one dimensional Disney princesses or ogres, made even harder by Xanadu being a comedy (it would have to be – the story is so “out there”) and for young people to be able to make an audience laugh is testament to their skills as actors – and laugh they did. Ellie Constable was just perfect in her characterisations of both the Greek muse Clio and as the demi-god become human (with an Australian accent) Kira. Constable delivered comic timing, voice inflexions (particularly as the Australian Keer-ra), and body language to keep the audience in stitches – all while moving around the stage on roller skates!! Supporting these were evil Melpomene (Audrey Varghese) and the equally evil and hilariously goofy Calliope (Joely Schmutter). These two characters provided much of the humour throughout the show, with the perfectly timed interactions and delivery of humorous lines keeping the audience laughing throughout (including a very funny rendition of “Evil Women”). In particular, Schmutter shined in this roles, playing the goofy sister to great effect against Varghese’s more serious “Muse of Tragedy”. Amongst this madness is the role of Danny (Mitch Clarke), the real estate magnate who initially wants to destroy Sonny’s ambition but in the end is brought to salvation by Kira to realise Sonny’s dream. Just an ability to deliver this development of characterisation on stage would require the skills of a season actor (which Clarke just about is) but to be able to do that and deliver his very funny lines just doubles the difficulty. Danny’s role in fact requires the greatest of comic timing abilities to ensure his many jokes don’t fall flat – and Clarke delivered again and again. Danny (Mitch Clarke) and the Andrews Sisters (Sharni, Annika and Maisy Barton) in perfect harmony. Xanadu Jr. could be described as an ensemble piece – and without exception, every supporting cast member delivered their parts with great timing, characterisation and heart. In particular Kira’s sister Muses, who incidentally also have major dancing and singing roles, were brilliant. And so too were the Greek Gods in a very funny, and somewhat ridiculous scene saving Kira from “eternal damnation” – with the funniest line in the whole show delivered with a style beyond his years by Hermes (Beckett Curry). And then, supporting these great performances is the main ensemble of singers and dancers – it is a musical after all. And while a large ensemble is often included in junior versions to provide the opportunity for many to “get a role”, the fabulous dance scenes (by choreographer Caitlin Clarke) and delivery of a multi harmony score (drilled into the cast by Co-Director and music director Lauren Schmutter) demonstrated these kids are probably just as talented as those with bigger roles – and according to co-director Lachlan Murray the show could have been cast twice over with the talent of those that auditioned. And a quick view of the program revealed that some in the ensemble come with significant experience from previous ByteSized shows and also major AWTCo and Livid productions including Ebony Banks and Georgia Wilson (Young Cosettes in Livid’s Les Miserables), Will Phillips (Dodger in AWTCo’s Oliver!) and Joe Mansell (as Lumiere in ByteSized Beauty and the Beast). The willingness of these and others in the cast to take on ensemble roles just shows the desire of the young local talent to stay involved in theatre in the region – and adds enormously to the quality of the show. This show may not be well known to most – but therein lies its genius. 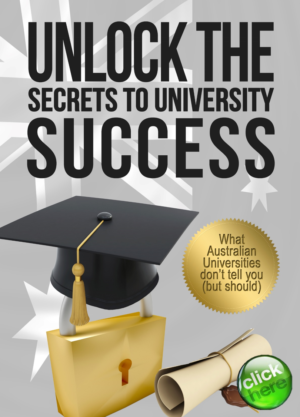 Come to the show without any preconceived ideas of what to expect and be prepared to leave the theatre having seen a fabulous performance form many of the region’s best performers – all the while laughing from start to finish. This is probably ByteSized’s best show so far and should not be missed. Previous articleGreek Gods, roller skates and leg warmers – ByteSized Productions Xanadu Jr.